Early this winter, in desperate need of warm clothes, I headed over to OPA mall to check out a shop that is quickly becoming my go to store for casual cute fashion, Honeys. Honeys, known as "Haolizi" in China offers cute Japanese fashion that won't break the bank. The shop features several brands including: Cinema Club, Glacier, Comfort Basic, and Colza. Their items range between 68rmb for tshirts to 300rmb for pants and dresses. Considering most Japanese brand items cost 2-3X more than that, I believe Honeys is a great place to shop for inexpensive, but cute clothing. 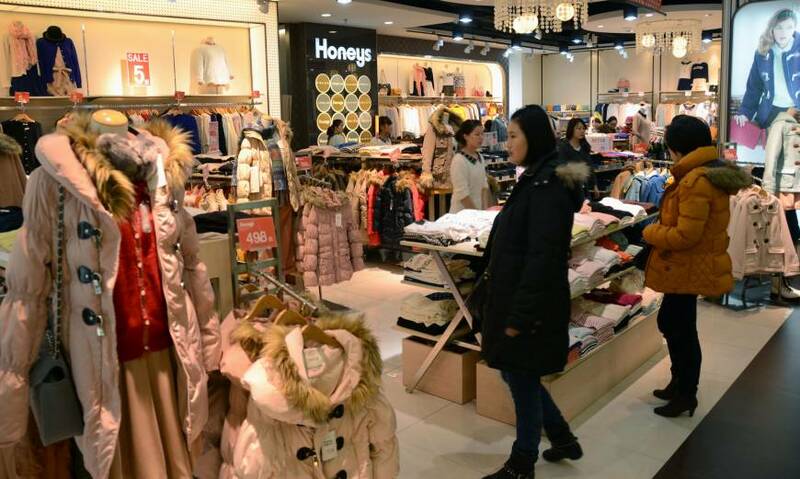 To emphasize the point that Honeys is up to date with Japanese trends, they often have their clothing modeled by Vivi and Popteen models (2 popular magazines for teens and young women). Honeys shopping bag is pretty cute! During my last shopping trip, I picked up a cardigan and a pullover sweater. The total price was around 300 RMB or about 50USD. I fell in love with this cardigan! It has a super cute heart leopard pattern and features a detachable faux fur collar. It's really similar to one by Ank Rouge one that I've been searching for. Surprisingly, this cardigan is not very thick and is very suitable for early autumn and spring or layering with a heavy coat. This pull over is so comfortable and simple. I typically don't like pull over sweaters because I think I look bulky, but this sweater really fits greats! It follows the body curves but is loose enough that it feels like you're being enveloped in a warm hug. Plus I love random English words and phrases. 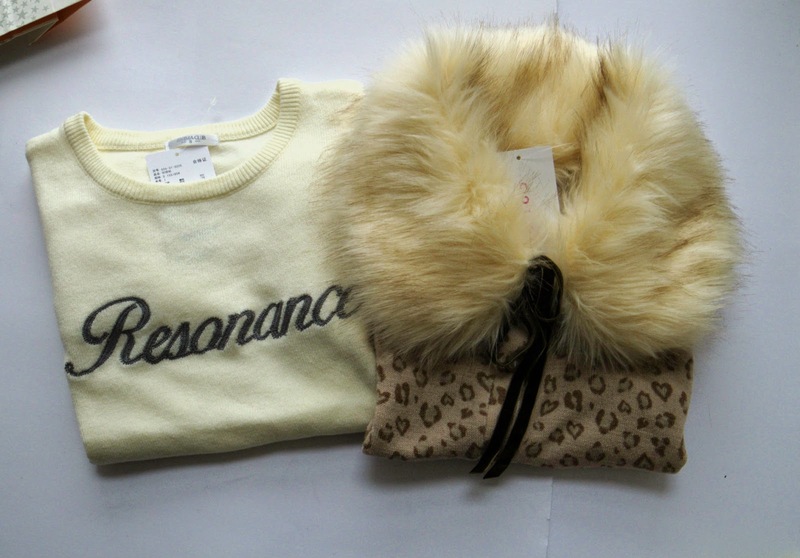 This sweater says "resonance". 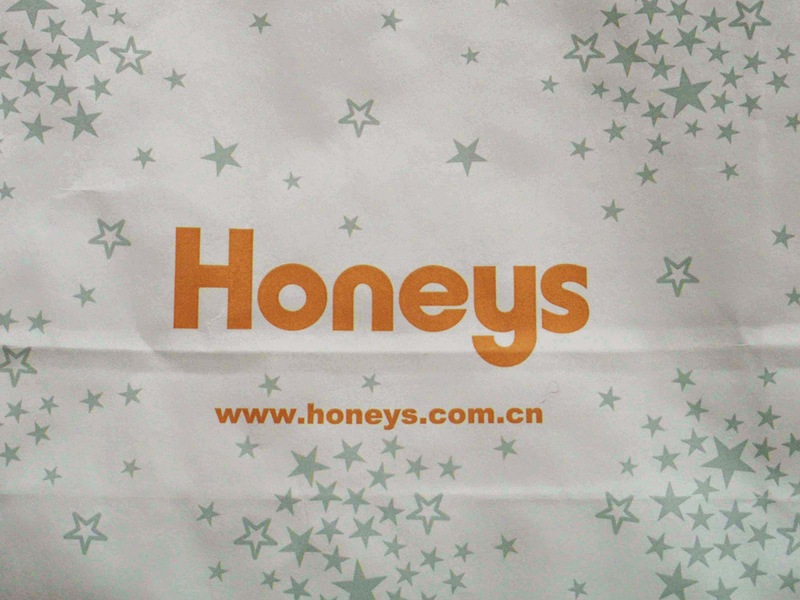 Honeys is located at OPA mall (metro:South Shaanxi) in Shanghai, but you can always browse their online shop here! *Edit* I stopped by OPA in mid-January and guess what? No Honeys! The shop was totally wiped out and closed. Since then, I have not gone back to see if it's been reopened, but I'll keep you updated when I get a chance to visit OPA again. I coordinated this pullover with a necklace from taobao and a cat eared hat from Swimmer! Black jeans and creepers pulled together this casual look. I hope you can fill your closet with cute clothing! Cute Shanghai is now on the Kawaii Directory!